A fine art print of the graphite and chalk drawing "Cacophony of the Arts" by Jason Rafferty. 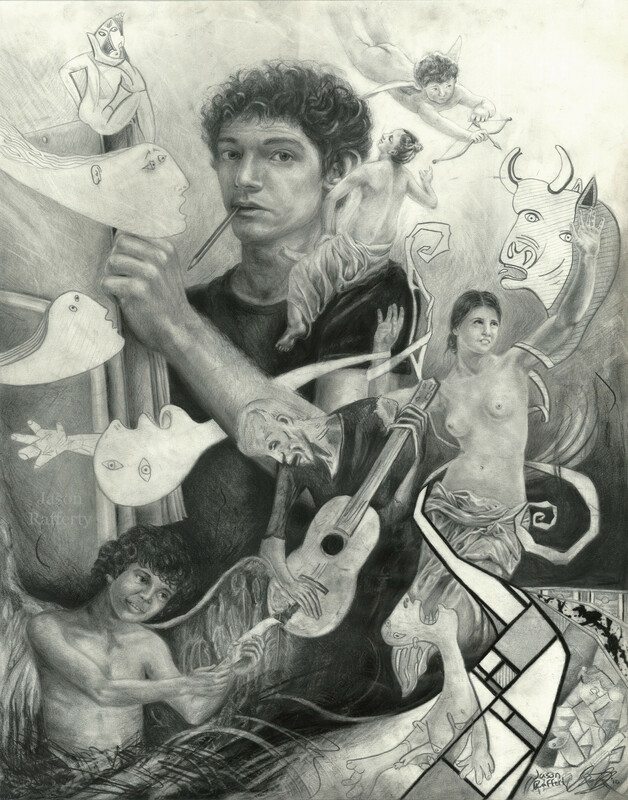 This is an open-edition print of the original charcoal and graphite drawing, "Cacophony of the Arts” by Jason Rafferty. "After completing the drawing 'Young Maestro' I wanted to do an even more complex one. At the time I was a very young artist and was confused between pursuing a classical direction versus a more modernistic, abstracted direction with my work. This piece explores that turmoil, as various influences quoted from classical and modern artworks by Bouguereau, Picasso, and others battle it out around me. 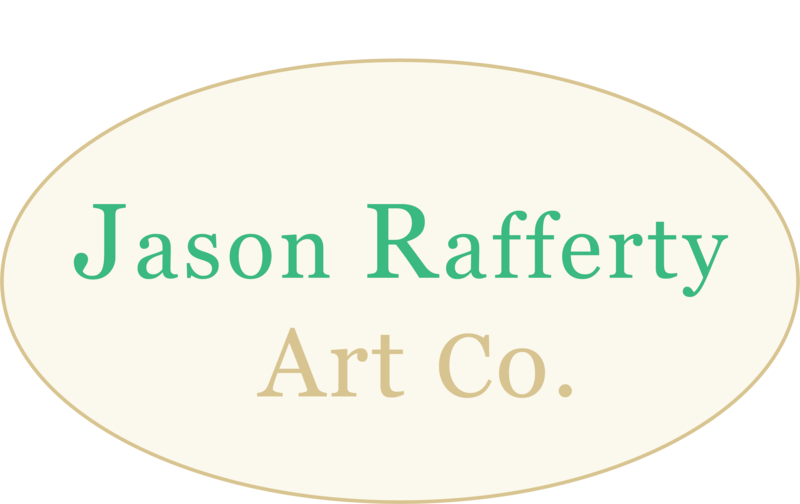 I sit at the easel and ask the viewer what they think I should do."